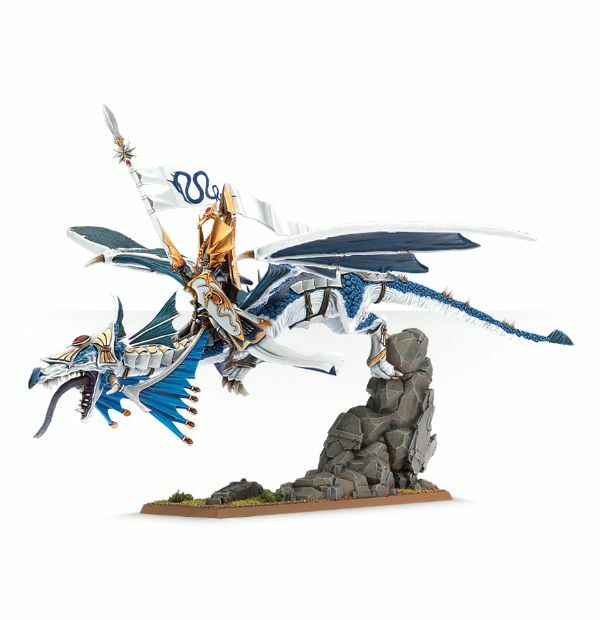 Over the holiday weekend, Games Workshop unveiled their new rules for Warhammer Fantasy, called Warhammer Age of Sigmar, they chopped the 30-plus year veteran of the wargames scene in favor of a sleek, slimmed down replacement catering to casual wargamers and collectors. The rules, among other things, get rid of the square bases and fiddly unit movement iconic to the game in favor of round bases and speed of play. The battle is ongoing as to whether this is the Worst Thing Ever, but the new game definitely includes some real gems of ridiculous rules catered to goofy, beer-and-pretzels style game play. These are some of the more absurd rules, but not nearly all of them - for example, we didn't include the figure that lets you dance to re-roll your missed attacks, nor the figures with game-ending destructive powers, nor did we even begin to try and list out the combinations that lead to hysterically broken instant victories. Enjoy the hilarious, and look forward to our review of the Warhammer Age of Sigmar Starter Set later this week. You can also go check out the free version of the rules at Games Workshop's site. If you field enough High Elves on dragons, you can legally act like a jerk and/or try to get your opponent to make you laugh.